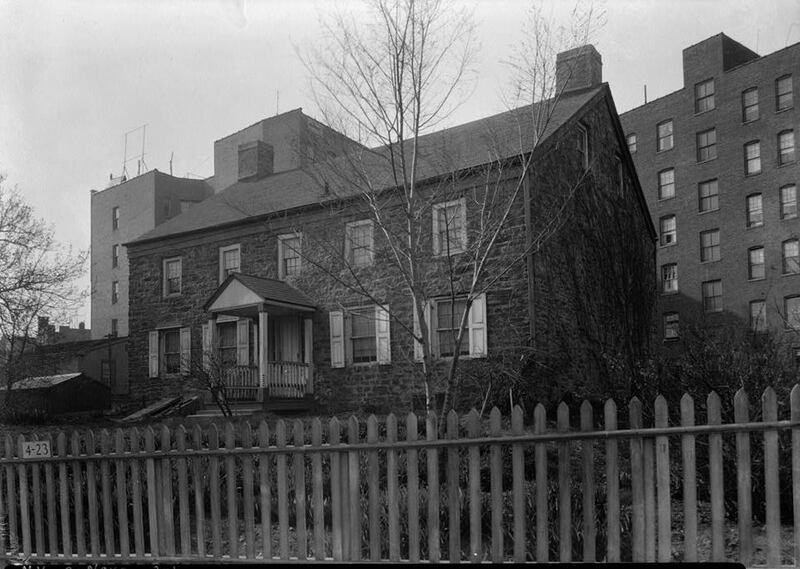 The Isaac Varian homestead, also known as the Valentine House, at Van Cortlandt Avenue and the old Woodlawn Road (now Bainhridge Avenue), was erected in 1775-6, while an old wing, now destroyed, dated back to 1770. Stephen Jenkins makes reference to the house in his Story of the Bronx, 1912, p,.357, as follows: "To the west of the reservoir [the small oval reservoir situated between Mosholu Parkway and Gun Hill Road], at Van Cortlandt Street and Woodlawn Road [now Bainbridge Ave], still stands the old Valentine House of Heath's attack, which was for many years the homestead of the Varian family. The old farm was cut up into building lots in April, 1905." The present (1934) owner , Mr. William F. Beller, acquired the house in 1906. Prior, to that, he says, it was always owned by the Varian family. Isaac Varian, the first of the name in America (who died at his residence on Bowery Lane, N.Y City, about 1800), had six children, all born in New York, the youngest being Isaac Varian (1740-1820), a butcher like his father, who accumulated a landed estate both in New York and West Chester County, and died on one of his properties in that county. Letters of administration were issued to his son of the same name through the Surrogate at White Plains. It was the second Isaac probably, who first lived in this house and possibly built it. 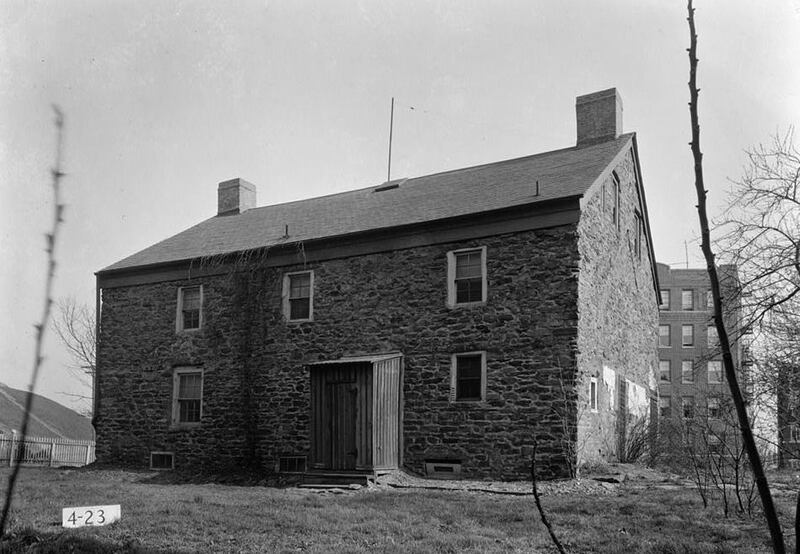 An interesting bit of Revolutionary history surrounds the place: "An encounter occurred here in 1777 between the British and the Americans, in which the Continentals drove their foes out of this house and along the Boston Post Road to Fort Independence. 0n the 17th of January, 1777, General Heath, in compliance with General Washington's orders, began an attack against Fort Independence, It was intended by this means, even if the fort was not taken, to cause the British to withdraw some of their troops from New Jersey and Rhode Island. General Lincoln advanced by the Albany Post Road to the heights above the present Van Cortlandt Park; General Scott came from Scarsdale to the vicinity of the Valentine house on the Boston Road, between Williamsbridge and Kingsbridge, while Generals Wooster and Parsons marched from New Rochelle over the Boston Road. "The three divisions arrived at the enemy's outpost just before sunrise. Lincoln captured the outpost in the front at 'Upper Cortlandt's.' Heath ordered the cannonade of the Valentine House, if the guard resisted, and he stationed two hundred and fifty men between the house and Fort Independence to prevent the guard from retreating to the fort. Two mounted British pickets were espied fleeing to give the alarm. One was captured, but the other escaped and alarmed the British outposts, who ran for the fort. They were fired upon by the Americans, and one of them was taken prisoner."